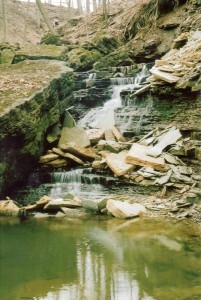 Lower Glendale Falls measures 3.3 metres (11 feet) in height and its width is 4 metres (13 feet). 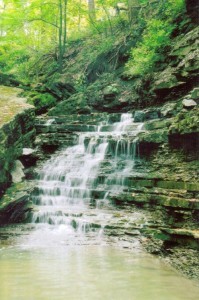 It is located about 100 metres downstream of Glendale Falls (now temporarily called Upper Glendale Falls) and can be seen from the Bruce Trail. Phil Armishaw and Joe Hollick went to see Lower Glendale Falls in October 2008, as Phil had “rediscovered” it in September. Nadeem Paracha and Joe had visited it in 2004 and decided not to include it in their waterfall list at that time, the reason being is that it did not appear to be a waterfall then (see photo dated Oct. 16, 2004). 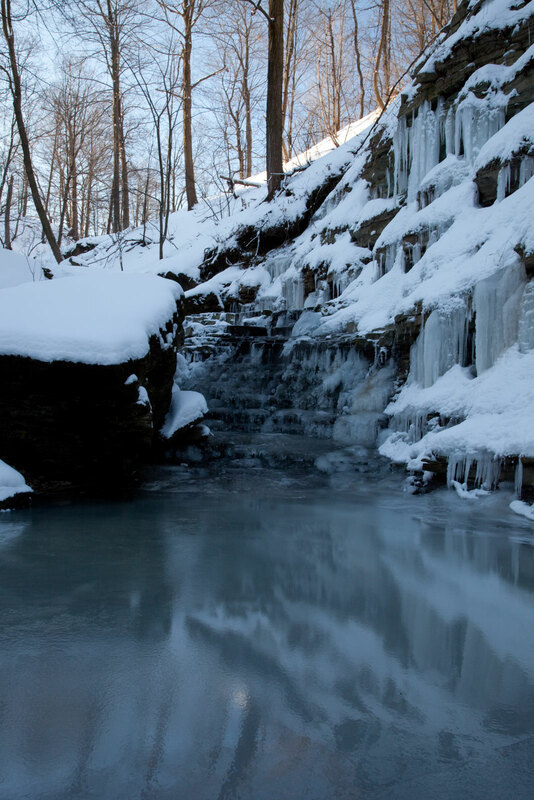 Now that all the rubble that covered the waterfall four years ago has been washed downstream,we can see Lower Glendale Falls in all its splendor. 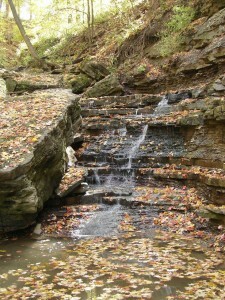 To reach Lower Glendale Falls take Centennial Parkway and exit at Mud Street West. Turn right onto the Paramount Drive at the intersection which is opposite Winterberry Drive. Then turn left onto Kingsview Drive and park just before the end of the road. Follow the trail beside the road to Upper Glendale Falls, then go around 100 metres downstream.